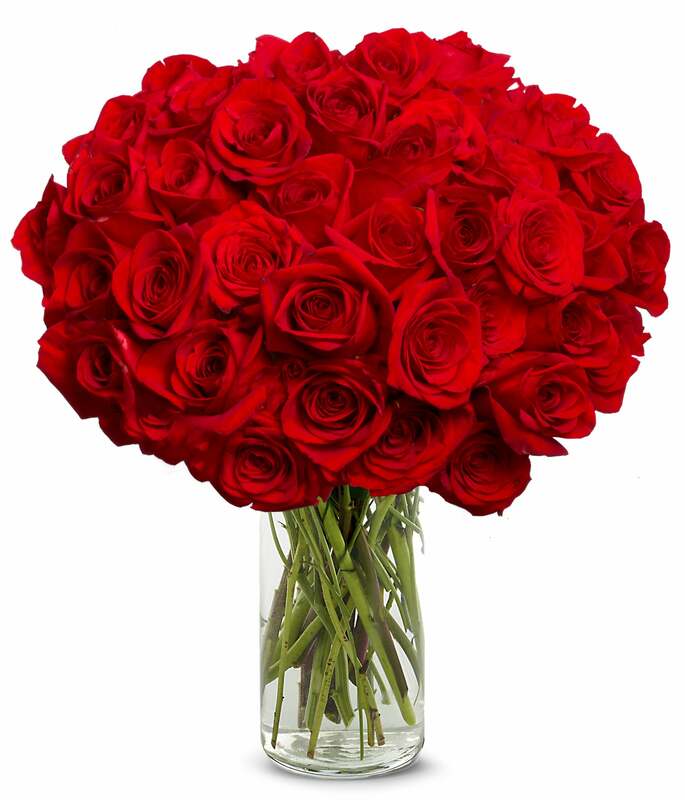 Impress your lady with this stunning bouquet of 50 fresh roses! She'll be gushing over your style of romancing her with the most beautiful flowers. Bouquet is delivered with a tall cylinder keepsake vase. Delivered in a gift box straight to the recipient's doors. Flowers are delivered arranged, wrapped and secured in vase. Blooms may take 2-3 days to open up, as shown in product photo. Upon arrival, remove flowers from wrap, replace in vase with fresh water including flower food packet and arrange to your liking. Flower Freshness Guaranteed.